The living room, king master bedroom suite, and panoramic deck all have completely unobstructed ocean views. Don’t be fooled: this Cedar Reef villa building is one of only two (D and K) that are TRUE oceanfront (we are D building). All of these other villa buildings have 1 to 3 buildings between them and the beach, AND sit perpendicular to the beach! Audio-Visual: We added a 42-inch flat screen TV with cable television and DVD in the family room. Each bedroom has a flat screen cable TV. There is WIRELESS hi-speed Internet access and FREE long distance telephone calls within the continental U.S.! Renovations: Since we acquired the property, we have updated the kitchen. The kitchen includes full-sized Whirlpool Duet washer/dryer, over the range microwave, coffee maker, blender, toaster, crockpot, new cabinets, new counters. We have re-painted the entire unit and added laminate wood floors on the entire first floor. We have replaced the entire heat/air conditioning systems, hot water heater and refrigerator. We replaced the carpeting in the upstairs hallway and both bedrooms as well as the stairs. We added a new L-shaped sofa with queen pull out bed. Unit location: The entrance to our unit is located on the second floor of the building. It is a townhouse style unit with the bedrooms on the second floor of the unit and the kitchen, dining room and family room on the entry level. This allows for spectacular views over the dunes of the ocean and also allows the unit to feel more spacious and to give some separation from guests trying to sleep vs guests awake in the living area. Aaron & Katie Thompson have been married for 24 years and counting. We have two daughters, Sydney & Lydia. We live in Maryland. We all love the beach and water activities. Our favorite time of each year is when we can come to South Carolina to spend time together relaxing and enjoying all of the activities that the Low Country has to offer. We have been travelling to South Carolina for vacation ever since Katie's parents moved from Maryland to South Carolina in 1993. We love the weather, the southern charm and the unique peace and quiet of the low country beaches. Bath towels provided. Guests provide their own beach towels. The kitchen was renovated. You will enjoy top quality front loading full sized washer and dryer and many other features. * Amenities: 2 bedrooms suites (each with full bath), central air, phone with voice mail, coffee maker, iron and ironing board, parking for 2 cars (gate fee additional per car), outside shower, charcoal grill available, vacuum, broom, dustpan, toilet plunger, trash service, ceiling fan, deck furniture, Cable TV in Bedrooms, beach chairs. Also, community has multiple pools, basketball court, tennis courts, volleyball court, workout room, putting green and playground all within a few minute walk of our condo. Condo was wonderful. People very helpful, apartment clean, well supplied, and view magnificent. Would like to have more blankets and be able to raise blinds in bedroom. Also wifi was not working. Think it's an issue with modem. Otherwise, everything wasperfect and I certainly would stay here again. October is a great time to be at the beach! We had a wonderful week on the South Carolina coast! Our rental was comfortable and owners are very easy to deal with and accommodating--could hardly have been more pleased with our stay. The views of the beach and ocean from the living room and upstairs Master bedroom are soothing and beautiful--we couldn't get our fill of them! We would love to have been able to spend time on the small deck, but hopefully that will be repaired soon. The owners were very kind to consider our lack of being able to use that, and reduced the rent to make up for it . Very nice! We would love to be able to stay here again in the future. Beautiful views. Great accommodations. Awesome experience. The condo was spacious and comfortable. The view over the dunes to the beach was absolutely incredible. We booked a trip down to the beaufort area hoping for a relaxing stay and this place delivered. We spent all day relaxed on the beach, the state park that was 5 minutes away and had some incredible dinners down in Beaufort. Katie was super responsive, the condo was clean and updated, and the complex itself was top notch. Really enjoyed our stay. Nice complex and convenient to Beaufort and Hunting Island. Would definitely stay again! This is our favorite place to stay at the beach. 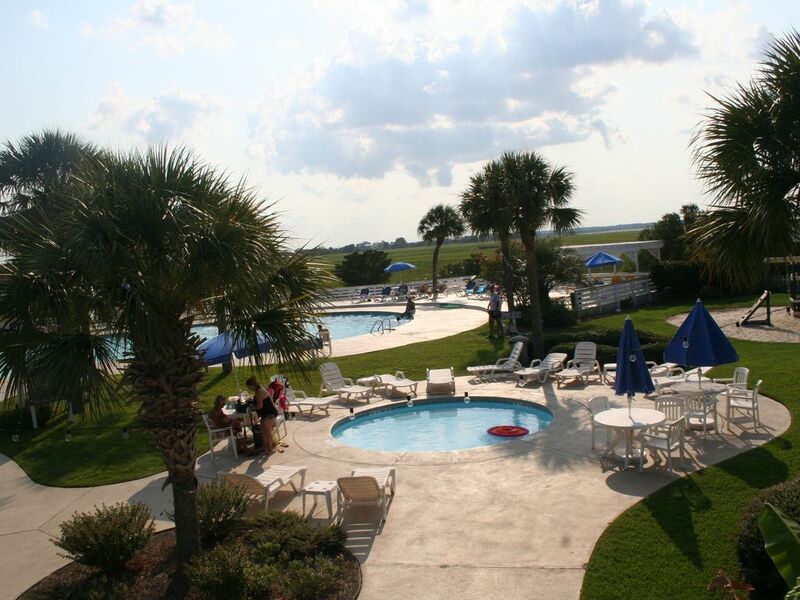 Close to Hunting Island and Beaufort with a quiet private beach, you cannot find a better place to relax and recharge. Katie Thompson keeps her place in perfect shape and always looks after us. I can't say enough about this wonderful escape location but shhhhhhhhhhh! This place is a great well kept secret. Let's not tell too many people! Beautiful view and very relaxing! We wanted to say thank you for letting us stay in your home! Very nice and roomy. Very quiet and relaxing! The view was beautiful! Rates are subject to change until reservation is confirmed. Holidays charged at weekend nightly rates. Rates do not include $85.00 departure cleaning fee, tax and service fees. Harbor Island is a gated community & island administration charges a fee for each rental car pass issued. Stated rates include one car pass. Extra charges will apply for any additional vehicles.